The USMCA will come into effect following the completion of certain Trade Promotion Act procedures, including a Congressional vote on an implementing bill. In the meantime, NAFTA remains in effect. If you are operating under NAFTA, or considering cross border trade with the member countries in the future, we encourage you to review the text of the pending agreement for changes and new content which may affect your business going forward. The full text is available on the website of the Office of the US Trade Representative; or click here. We strongly recommend that you prepare yourself for the possible changes, so that when the hearings are set for comments with a deadline, you will be prepared to give your Corporate input. Marv Sepe and Jim Mayfield were presented with the 2018 Partner of the Year Award for championing the international initiatives of the Chamber, and lending their time and expertise. 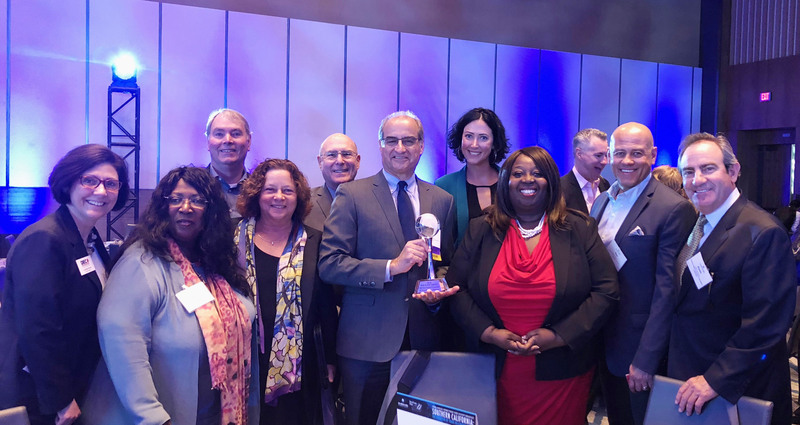 2018 Bob Kleist Leadership Award Presented to DECSC May 4, 2018 at LA Chamber 92nd World Trade Week Kickoff Breakfast. 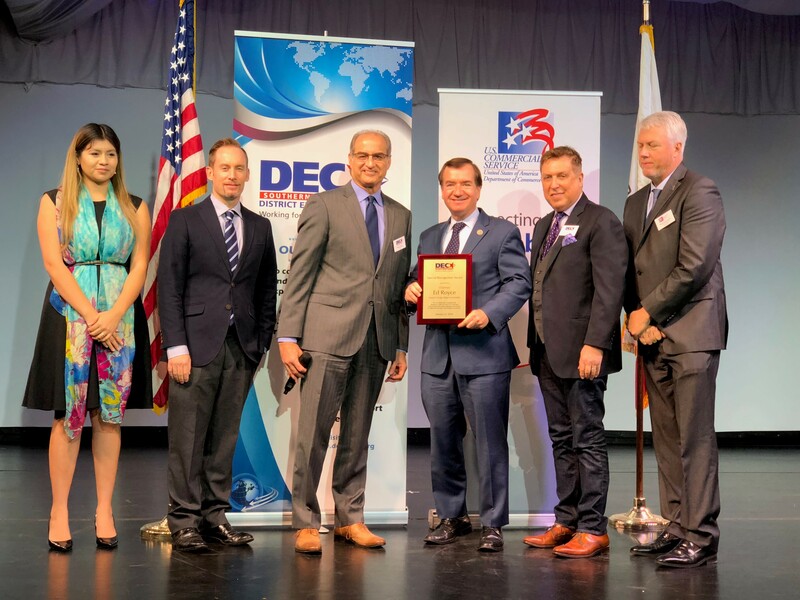 The District Export Council of Southern California (DECSC) is the recipient of the prestigious "2018 World Trade Week Bob Kleist Leadership Award". This award is the highest recognition for an organization in international trade, and a tremendous honor for DECSC. It is in recognition of the hard work, relationships nurtured, and value created by DECSC in the trade community. 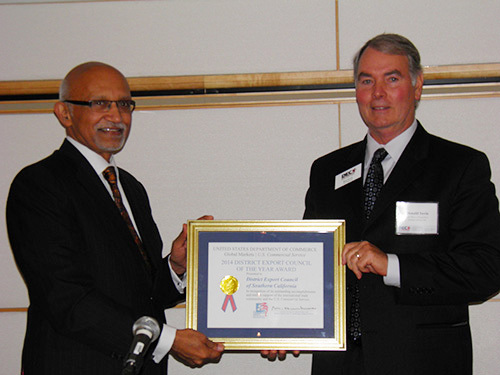 The honor is awarded by the World Trade Week Los Angeles Executive Committee of the Los Angeles Chamber of Commerce. Tatyana Aguirre USCS (left), Jason Sproule USCS, Marv Sepe, Chair DECSC, U.S. Congressman Ed Royce, Kenneth Wengrod, DECSC, and Richard Swanson, Network Director USCS. DECSC Chair Marv Sepe thanked U.S. Congressman Ed Royce, Chairman of the House Foreign Affairs Committee, for his remarks and his many years of contribution to fostering international trade. 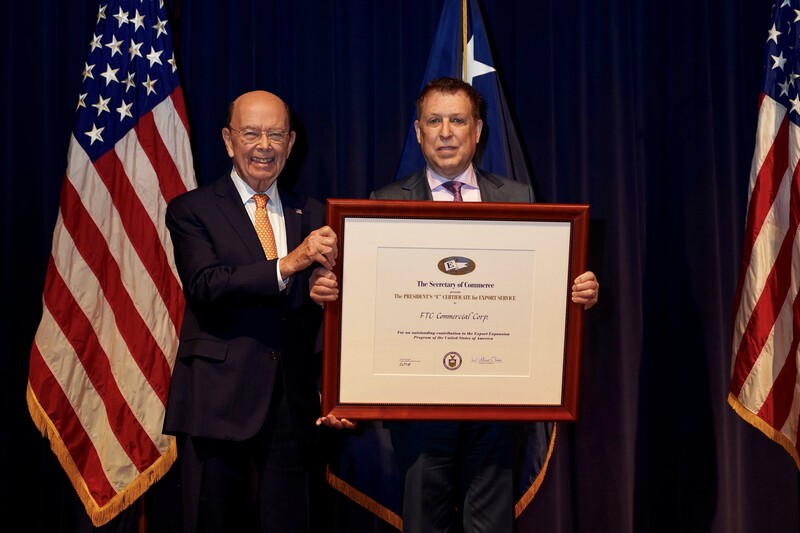 An engraved plaque was presented with the words recognizing that Chairman Royce has dedicated his career to advancing Southern California and U.S. interests around the world and is strongly committed to international trade and Foreign investment especially in our region. Julie Anne Hennessy, USCS (left), David Habib, Vice Chair Central Coast DECSC, U.S. Congresswoman Julia Brownley, Ray Bowman, DECSC, Megan Cullen, DECSC, and Gerald Vaughn USCS. worldwide by sponsoring export-related events and workshops. If you are a U.S. company located in Southern California, DECSC and the U.S. The District Export Councils contribute leadership and international trade expertise to complement the U.S. Commercial Service’s export promotion efforts through counseling businesses on the exporting process and conducting trade education and community outreach. See DECSC's Strategic Plan Summary. 2018–2022 Strategic Plan - It sets out the priorities established for the Department by Secretary Ross and informs the public about the department's important work. 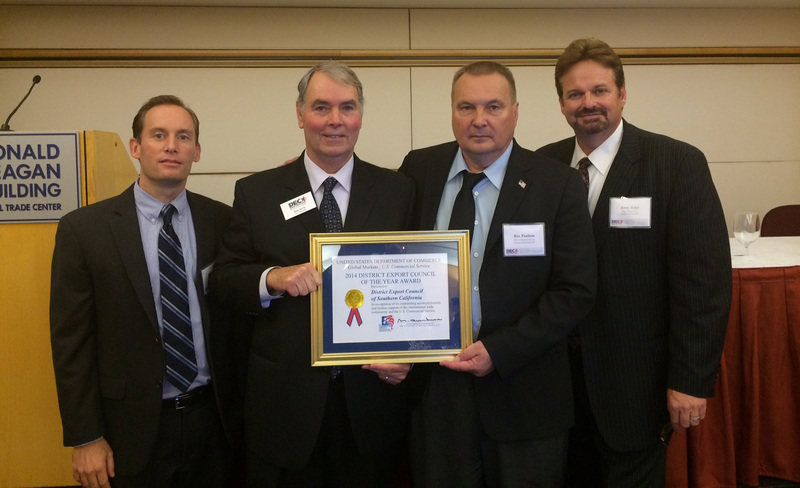 DECSC Recipient of "2014 DEC of the Year Award"